Living in modern times, it’s easy to get a little jaded when it comes to technology. So many of us take our devices for granted when in reality the things we use today would blow the minds of people who existed mere decades ago. Nonetheless, there are some areas where high-technology is still making strides and creating impressed fans everywhere. With that in mind, cleaning your house is a chore that no one likes to do, but it’s a necessary evil, right? After all, it’s not like we can hire robot butlers to do the work for us, can we? Well, while that seemed like science fiction before, now it’s science-reality. Although robot vacuums have been around for several years, this new generation is good enough to make cleaning a thing of the past. While many of them are still far from perfect, new features and tech are enabling these devices to clean your home from top to bottom with a push of a button. Thus, today we will look at the best robot vacuum for hardwood floors, as well as what to look for in a vacuum to ensure that you’re getting the best of the best. Your parents may have never had to look for a new robot vacuum, but that’s the world we live in now. Cherish it. In some industries, a particular company comes out with a product that is either so well received or ahead of its time that people replace the object name with the name of the brand. Kleenex, Xerox, and Oreo are some prime examples of this, and Roomba is one of the latest to add to this trend. Because they were one of the first to foray into robot vacuums, everyone knows the company, which means that they are highly coveted. 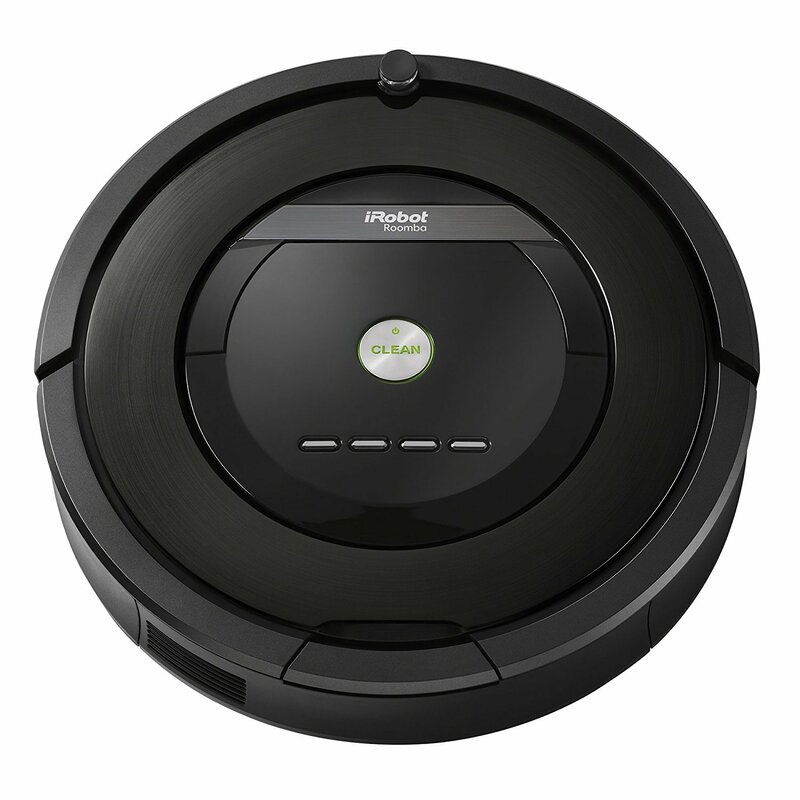 In this case, we are looking at the 650 model, which is the basic vacuum offered from Roomba. That means that it comes with all of the standard features and not much more, meaning that it’s great for anyone who likes the idea of a robot vacuum but doesn’t care about a lot of bells and whistles. Overall, the cleaning power of this unit is decent; it has a three-stage cleaning system and brushes that pull from multiple directions to ensure that your floors get a thorough pass. The device even works along walls and in corners so don’t worry about that. The sensors on a Roomba are excellent so that it can navigate through your home with minimal supervision and should be able to find its way back to the dock to charge automatically. In the end, this is an excellent vacuum. If you liked the 650 model but wanted more power and better cleaning, then the 880 is for you. It still comes with all of the standard features that you want in a Roomba, but it has a bigger motor and extra brushes to ensure that your home gets sparkling every time. First of all, the 880 has fifty percent more suction than the 650. Second of all, it comes with anti-tangle technology to prevent hair from clogging the brushes. Finally, the 880 has high-efficiency filters to trap dust and debris far better than the original model. Otherwise, the rest is about the same with automatic navigation, dock return when the battery is low, and pre-programming capability to set it up to clean whenever you want (up to seven times). Best of all, it can clean up to three rooms on one charge. Read more about the best Roombas for hardwood floors [updated 2018]! 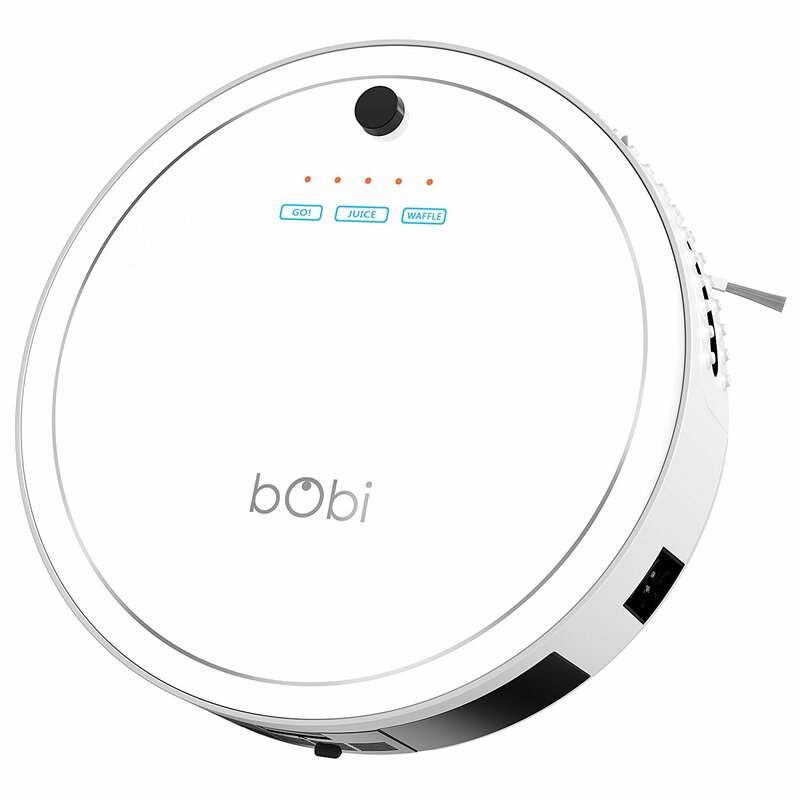 Next, we have a robot vacuum from bObsweep, which is an up-and-coming company in the industry. While it’s not quite as well known as Roomba, it comes with some pretty impressive features that you won’t find on the 650 or 880 models. First of all, this particular vacuum has two cleaning settings. The first is standard cleaning, and the second is called “waffle.” The reason for that is because the robot makes a waffle pattern on the floor to pick up small messes with greater efficiency. Second of all, this robot not only vacuums, but it sweeps, UV sanitizes, and it comes with a mop attachment to clean up wet messes. As we mentioned above, the technology is still not super advanced, meaning that for best results you should use the mop with the “waffle” setting, so you don’t run out of dampness. The other major component that comes with the bObi Classic is the remote control. This way, you can manually send the vacuum wherever you want or activate either cleaning mode. Also, you can pre-program it from the remote as well if you like. 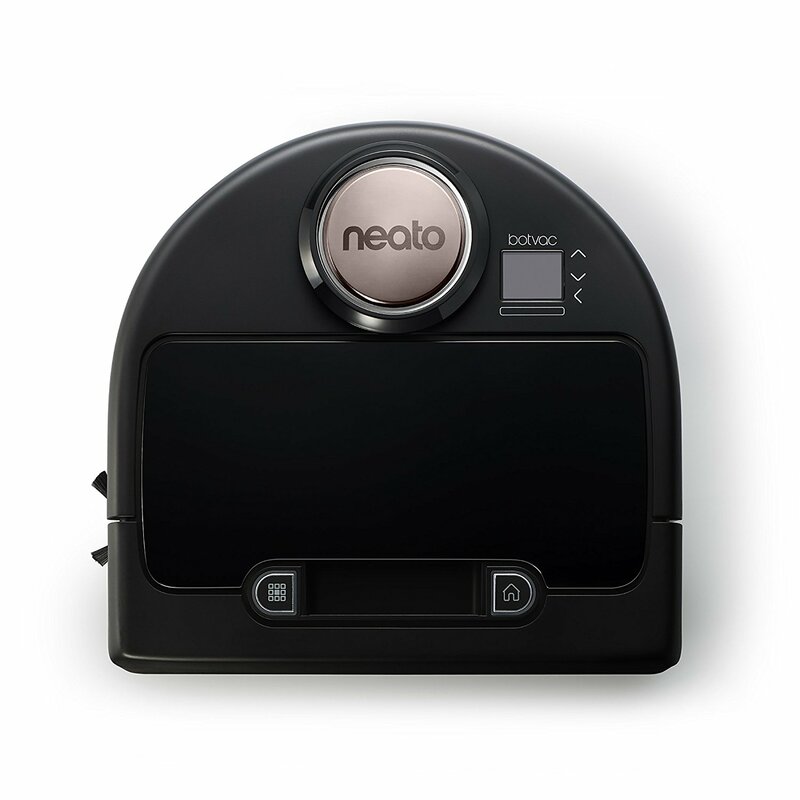 So far, we’ve seen robot vacuums that are circular in design, but this next one from Neato is different and much more efficient. A D-Shaped model means that you can clean along edges and corners much easier without leaving any dirt behind. This alone makes the Botvac better than the competition, but other features make it even more desirable. First of all, this device scans and maps out the terrain before it starts cleaning, meaning that it is much more efficient than units that “bump around” in a haphazard way. Overall, you don’t have to worry about the unit missing a spot or going over the same location over and over again because it doesn’t know better. Second, this model has wi-fi capability so that you can sync it and control it from your smartphone. Not only can you do that but it will send notifications, so you are always aware of when it’s operating or if it gets stuck somewhere. Finally, it has Eco mode to save battery life and Turbo mode to get a more powerful cleaning, making it an incredible machine overall. 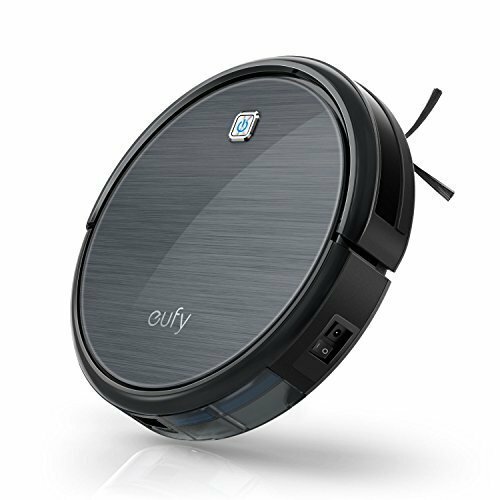 Our final vacuum is the RoboVac from Eufy. 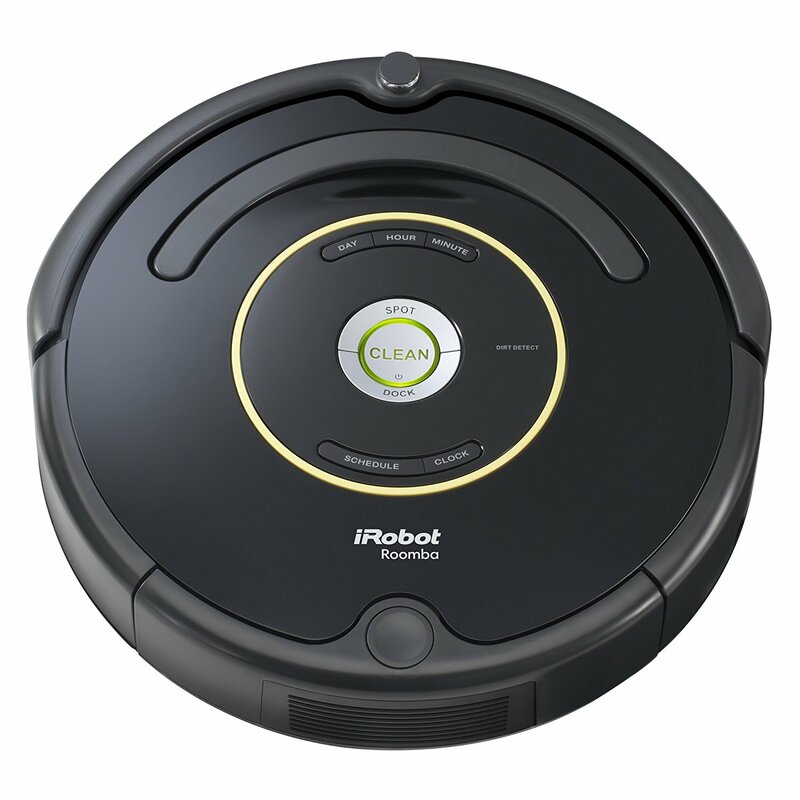 This particular model is mostly like the Roomba, meaning that if you want something a bit less expensive because it’s not a brand name this could be a good option for you. Overall, this unit comes with a lot of the standard features you would find on a robot vacuum, such as automatic navigation through your home, anti-stair sensors, pre-programming capabilities, and a three-stage cleaning system for best results. The only parts that are unique to the Eufy are the side brushes that help make vacuuming easier and a HEPA-style air filter to trap dust better. Also, it comes with a longer lasting battery that can go up to ninety minutes on a single charge. Read more about the 10 best overall vacuums for hardwood floors in 2018! Ever since Roomba came out and put its stamp on the robot cleaning industry, it seems like all other brands are imitating the style and features that come with all Roombas. That being said, most robot vacuums are circular and measure about a foot or so in diameter. However, there are a few outliers that have other shapes so as to get into corners and along walls better. In fact, a D-shaped vacuum can be far better than a circular one as it can maneuver into any tight spot or ninety-degree angle with ease. Overall, the size and design are going to be similar across the board, but do know that you have options if you know where to look. When picking out a robot vacuum, you need to make sure that it is comparable to what you used before, which was most likely an upright unit. So, that means that your new device has to be able to clean carpets and floors just as well, which requires a lot of suction and power. Thankfully, next generation robot vacuums are becoming more adept at cleaning, which means that many can take on tough spills and dirt. One thing to keep in mind is the size and shape of the brushes. If they are thick and can pull in large objects well, then you shouldn’t have any problems with your machine. Also, some units come with extra features like anti-clog technology to prevent hair from tangling in the device. If you have pets or shed a lot yourself, this feature will come in handy a lot. Another thing to consider is that most of these units are not designed for wet spills, so don’t try to have it work with liquids or other messes (such as pet droppings or vomit). If the vacuum does get caught up in that kind of situation, it could wind up making things worse as it spreads the liquid around. Some newer models, however, are designed for both wet and dry vacuuming, so you might want to invest in one like that. The more advanced these sensors are, the better that your machine can operate. If you get a cheap model, however, then you will have to rescue the vacuum on a regular basis or pick it up after the battery dies while it was trying to find its way home. One side note to think of as well is that many robot vacuums have a hard time with black carpets as it trips the cliff detector. So, if you already have black or dark floors, you might have to adjust the sensors manually or get a device with a remote control so that you can force it to go wherever you want. 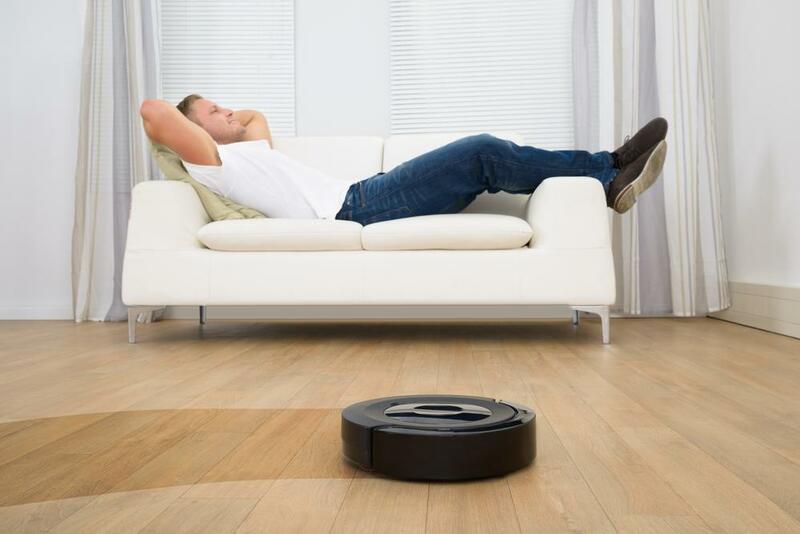 If most of your floors have this issue, then a robot vacuum might not be for you. Because these devices operated autonomously, you need to make sure that it can sufficiently clean your home without dying on you every few minutes. Most robot vacuums can last up to an hour, but higher end designs can go for up to ninety or a hundred minutes at a time, which is enough to cover multiple rooms on a single charge. The flipside of that is how long it takes to recharge the batteries as if it dies before finishing you want to make sure that it can come back and complete the job before too long. Unfortunately, most manufacturers don’t list the charging times, meaning that you will have to find out on your own. Since robot vacuums are already high-tech devices, you may be impressed by everything we’ve gone over so far. However, that is not to say that you can’t find a device with additional options to make your cleaning experience that much more enjoyable. Here are some bonuses that you may find bundled with your vacuum. Pre-Programming: if you want to set your device to clean at certain times or in particular rooms, many of them give you that option with a specified number of preset options. This way, not only can you program the vacuum to clean on your schedule, but you can ensure that your home gets clean while you’re away on vacation. Wi-Fi/Remote Activation: for some people, they want to be able to control the vacuum remotely instead of having to reach down and push a button every time you want to change something. Several models have a remote control that comes with the device, while others have wi-fi capabilities that sync with your smartphone. Virtual Walls: sometimes you want your vacuum to clean some rooms but avoid others for whatever reason. With this feature you can set up virtual barriers that the machine won’t cross, ensuring that you don’t have any problems. Mopping: as we mentioned, most robot vacuums are not designed for wet spills, but that doesn’t mean all of them aren’t. A few models have an attachment for mopping, although so far the results are mixed. They can be ideal for a particular spill, but not for cleaning a whole floor. After looking through all of the features and benefits of these vacuums, we’ve decided that the best one for your money is the Neato Botvac. The reason for this is that it has a better design for getting into corners and along walls, and the wi-fi activation is a real treat. Although this particular model still has some kinks that need to be worked out, overall it has much better results and bonuses than the others that we’ve seen.